Completing your nursing clinical experience in Chicago will give you the professional knowledge and skills to launch your nursing career in a variety of healthcare settings, whether you choose to practice in a big city or a smaller town. 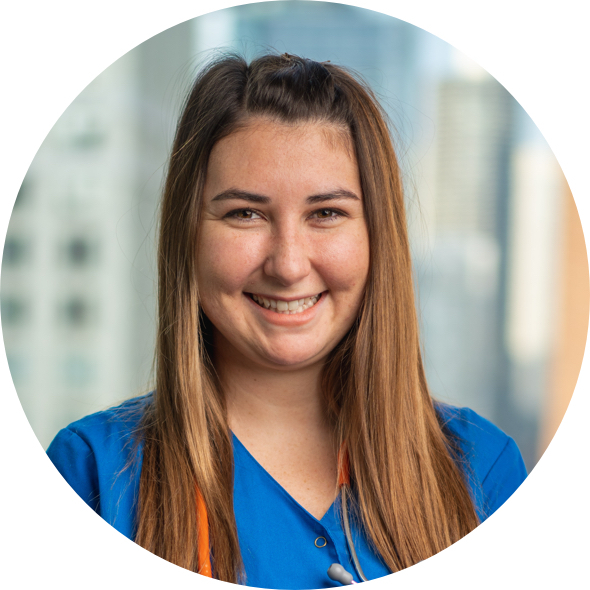 Chicago Semester often proves invaluable in landing that first full-time job after graduation, since many of our program alumni are hired by the hospital systems where they complete their clinical placement. If you’re working toward a Bachelor of Science in Nursing (BSN) degree, you can fulfill your clinical placement requirements through Chicago Semester. You will be placed in a Chicago hospital under the supervision of a qualified preceptor. The Nursing track is available in the Spring semester only. Chicago Semester has strong connections with the leading teaching hospitals across the city, ensuring you a top-quality semester-long clinical experience. We review your clinical area interests and find the best match in one of Chicago’s hospital systems. "This was one of the best opportunities I have ever had in my educational experience. Getting a full semester worth of practice and experiences in the clinical setting really advanced me and prepared me to feel comfortable to be a successful RN after I graduate and pass NCLEX. I am grateful for my time living and working in the city. I had been planning on living in North Carolina after college, but I have enjoyed my time so much in the city that I will be staying and working here for at least a couple years!" The nursing internship and professional seminar is supervised by the Chicago Semester Director of Nursing in cooperation with Hope College and a contracted healthcare agency. Designed to deepen your socialization into professional nursing, it focuses on issues and services related to healthcare in an urban context as well as leadership and management roles that enhance your transition from student to professional RN. You will complete an internship selected from a wide range of quality clinical specialties to synthesize the concepts and philosophies of nursing from previous college courses and to develop the competencies and skills necessary for the beginning roles of the professional nurse. The weekly professional seminar focuses on NCLEX review and discussions of the professional nurse, social justice and healthcare, Christian worldview, diversity and vocation. You will enroll in the Professional Seminar and in one other course of your choice.